We are excited to add 3D Laser Scanning to our services in 2014. For many projects, laser scanning is the best way to gather comprehensive data regarding your site’s features. Single scans with our FARO X330 laser scanner can capture tens of millions of points within a matter of minutes. 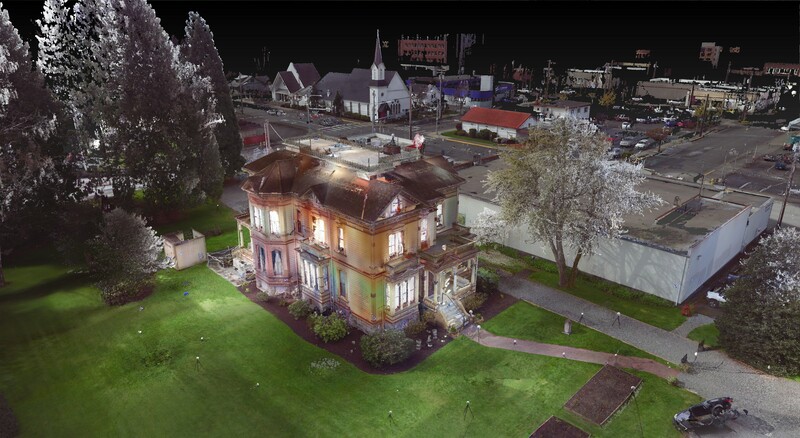 Multiple scans can be registered together to create a 3D point cloud of your site. After registration, point clouds can be imported directly into most modern design software. Point cloud data will reduce the need for multiple site visits and jump start your project planning. This data provides your engineers all the information they need to work towards the best outcome for your project. 3D Scans also greatly enhance the ability to visualize and communicate your data by merging real world data with conceptual plans. Meeker Mansion Historical Preservation Scan.